Inspections identify whether there is a need for operational maintenance or renovation. 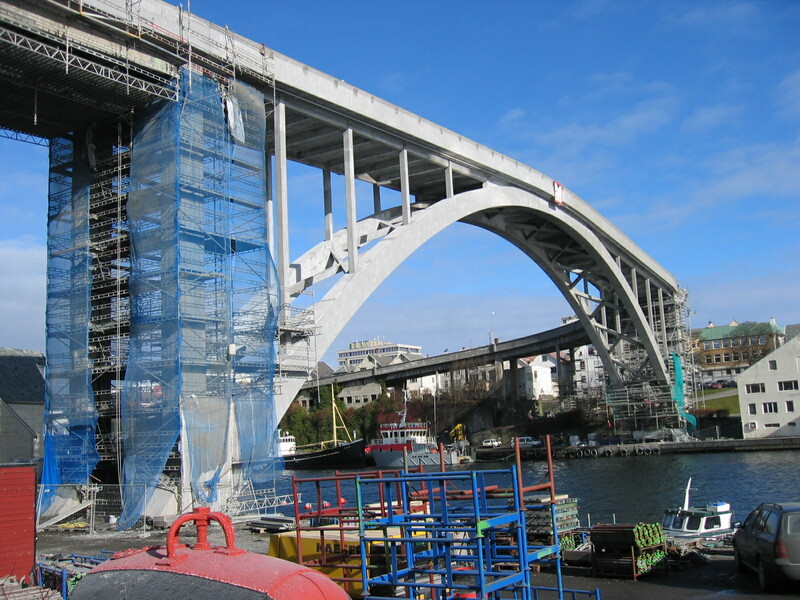 Aas-Jakobsen has many years of extensive experience with maintenance engineering and the preparation of tender documents for the renovation of all kinds of bridges and quays. Maintenance engineering varies in scope, depending on the size of the structure and complexity of the work to be performed. In some cases, the design work must be performed, and tender documentation drawn up for individual components on multiple small bridges; sometimes the design work encompasses a joint replacement or the replacement of guardrails on a bridge; while at other times, the design work could cover a complete maintenance programme for an entire bridge or quayside. The list of reference project is long, but the bridges below are worth mentioning. All the bridges started with a major inspection and report, followed by a special inspection involving further material sampling as required, maintenance engineering, analyses and classification, and supervision during the construction period. 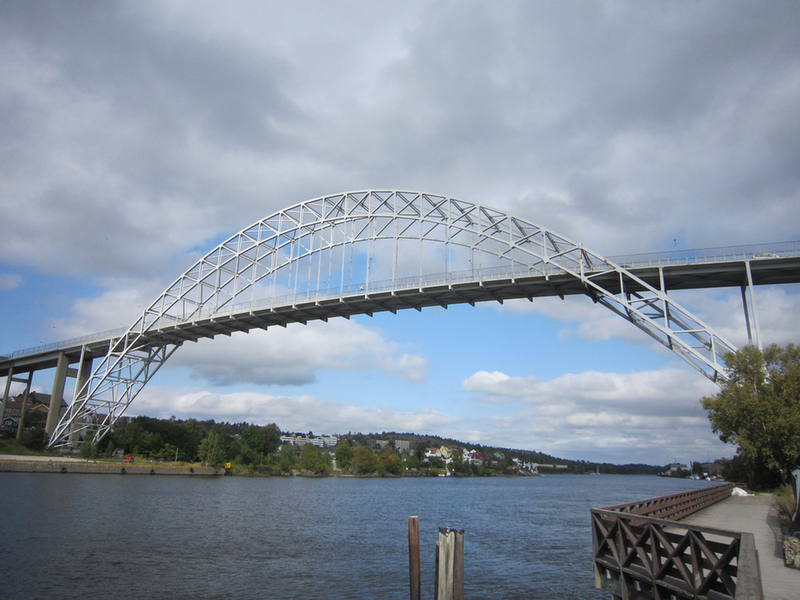 Fredrikstad Arch Bridge in Østfold county is a listed structure and is a major project for which we have designed a complete maintenance programme for the entire bridge. Several analyses were also required during the project in order to check the bridge’s load-bearing capacity. Concrete renovation, surface treatment of steel, new bridge guardrails and new wearing course are some of the maintenance activities which were performed. Langset Bridge (Old Minnesund Bridge) in Akershus county was also a major project for which we designed the full maintenance programme. This also involved several static analyses and strengthening work, as well as concrete renovation, surface treatment of steel and new inner guard rails. A full maintenance programme was designed for Risøy Bridge in Rogaland county back in 2005, and in 2008 it was the first bridge renovation project to receive the ‘Vakre Roadsers’ award for aesthetic qualities. Maintenance work included cathodic protection, surface treatment of concrete, new joints and new wearing course. Rånafoss Suspension Bridge in Akershus county is a listed structure, and a full maintenance program was designed in 2014-15. The bridge was also provided with lighting during this period. Concrete renovation, surface treatment of steel and concrete, new bridge guardrails and new wearing course are some of the maintenance activities which were performed.